Eileen Kennedy-Moore, PhD, is a child and family clinical psychologist in Princeton, New Jersey. She is the author or coauthor of several books on children's feelings and friendships. Mark S. Lowenthal, PsyD, has helped many children, teens, and their families during his twenty-two years as a clinical psychologist. His private practice is in Maplewood, New Jersey. 1 Tempering Perfectionism: What Is “Good Enough”? Sam: Avoiding activities at which he doesn’t excel. 2 Building Connection: How Does Your Child Reach Out to Others? Andrew: Seeking an audience rather than a friend. Clay: Avoiding joining the group. Amalia: Feeling rejected by peers. 3 Managing Sensitivity: How Does Your Child Handle Criticism, Conflict, and Disappointment? Jessica: Balking at constructive feedback. Samir: Chafing at a change of plans. Collin: Shouldering the world’s woes. 4 Handling Cooperation and Competition: How Does Your Child Fit in a Group? Steven: Insisting on his way. Anita: Being a sore loser. Craig: Dealing with competition in the family. 5 Dealing with Authority: How Does Your Child Respond to Those in Charge? Lisa: Being blind to authority. Nicholas: Making everything an argument. Stephanie: Fretting about adults’ anger. 6 Developing Motivation: What Matters to Your Child? Jared: Complaining that schoolwork is boring. Diane: Not applying herself in school. 7 Finding Joy: What Makes Your Child Feel Happy? Monica: Finding fault instead of fun. Conner: Searching for personal meaning. Conclusion: The Pressure to Perform Versus the Power to Grow. Selected References and Recommended Reading. 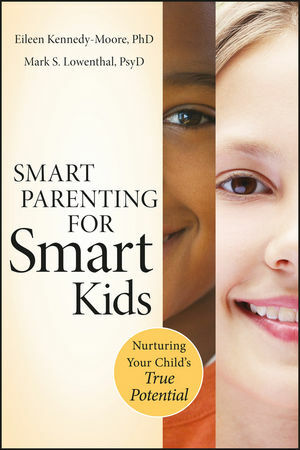 "This book helps parents see how to encourage their children to develop as whole people with feelings, ideas, and the ability to cope with the occasional disappointment too."